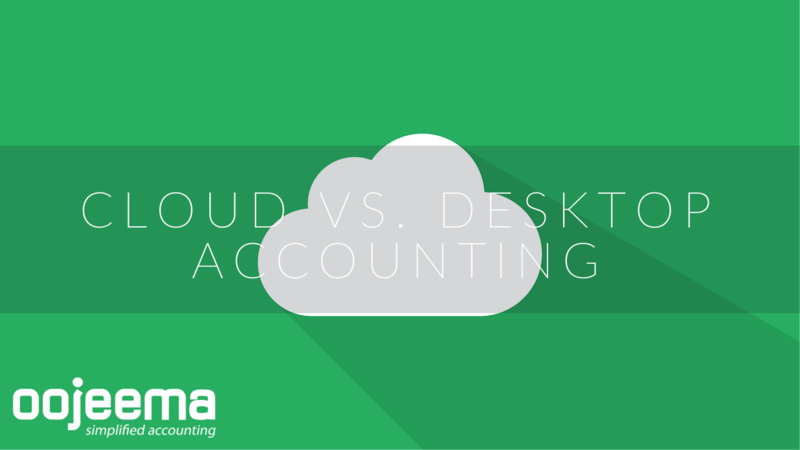 Still haven’t decided between cloud-based accounting software and the online one? Here’s a simplified comparison we made just for you that we hope can help make up your mind. We know that one of the main concerns you have about accounting software is its security. “Isn’t cloud-based more susceptible to malware, virus, and unauthorized access AKA hacking?” you ask. Bellingham Wallace Accounting says that’s a myth. Both are still secure, with the online accounting gaining a bit of the upper hand here. Cloud-based systems’ data are stored in secure dedicated servers, which are protected by enterprise-level security systems. And because it is “in the cloud,” it is safe from physical threats (e.g. anything that can damage your computer). On the other hand, offline or on-premise accounting systems are protected by your local security systems such as antivirus, anti-malware, and the like. Your machine’s security updates will also help protect your data. For unwanted access, you can also set up login credentials (i.e. passwords) to keep unauthorized individuals from gaining access to your data. “Which one is cheaper?” is probably the next question you ask as pricing is another deciding factor for almost everyone. Cloud accounting systems are usually availed through monthly subscriptions with regular free updates. Desktop accounting systems, on the other hand, requires a flat fee upfront. Some are renewed every year or whenever you’re upgrading; others require a one-time payment only. Cloud-based accounting systems usually support multi-users logged in and using the system at the same time. On-premise accounting software, on the other hand, allows only one user at a time. Sharing information between users in cloud-based systems requires only giving the login credentials to the user while the desktop version takes the manual route. You have to download the data first then send it to the recipient either via email, flash drive, or visiting their office. Because the data in cloud-based accounting software are stored in servers, very information you encode is automatically saved in these servers. This means you can access your data using any device. Thus, even if your current machine is damaged, stolen, or acting up, you may still log on using another device and continue your work. Data backup in desktop accounting software, on the other hand, is manual. Everything is stored in your computer’s hard drive. Your software’s servers may also conduct regular backups, but if something happens to your machine between these schedules, unbacked data is considered gone. 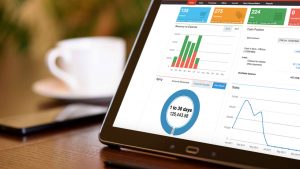 Cloud-based accounting software receives updates more regularly and they’re free of charge. These updates may be an overall software update, the addition of forms or reports, or bug fixes among others. On the other hand, desktop accounting software gets fewer free updates and they’re done about once a year only. Also, bigger it’s more common for the offline versions to ask for payments for additional features. 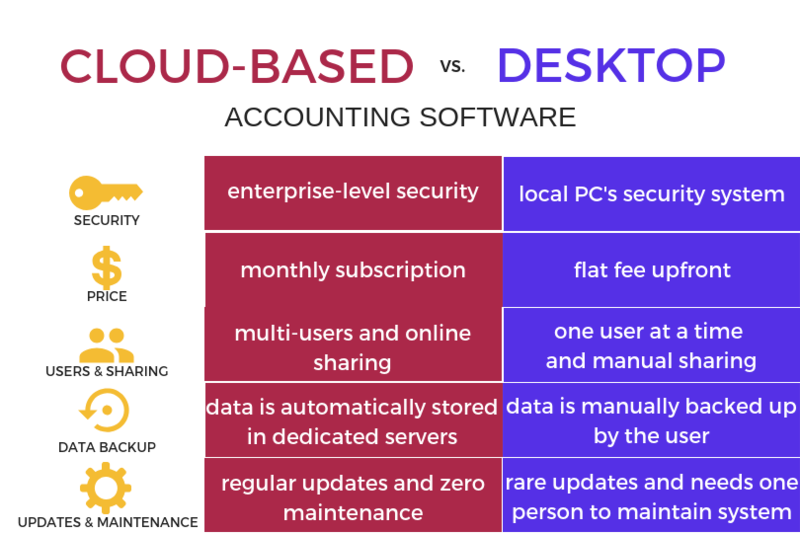 Maintenance-wise, on-premise accounting software usually needs someone who understands the software’s infrastructure such as network connectivity and backup security. On the contrary, online accounting software is, basically, independent. You don’t need anyone to supervise its operation. Oojeema offers you all the benefits of cloud accounting mentioned above plus many more.